Capodichino International Airport is 7 km northeast of Naples city centre. The airport is well connected, by direct flights, with most Italian and several major European cities. Connections between Capodichino Airport and Naples are operated by Alibus. Alternatively, the 3S Line is an urban bus with several bus stops around the city, including one in Capodichino Airport, one in the Central Railway Station and one near Piazza Municipio. If you prefer to catch a taxi from the airport, the taxi fare to the Central Railway Station is about 15 euros, to the Seafront Hotels and Stazione Marittima Conference Centre is about 20 euros. From Rome Termini Station, fast trains called FrecciaRossa and FrecciaArgento leave approximately every hour to Naples, taking about 1 hour and 15 minutes. The main train station is called Napoli Centrale – Piazza Garibaldi. Good train connections with all main Italian cities. The train station is connected to the city centre by underground, public buses or taxi. The most convenient way to move around in Naples is the metro. Naples is served by three metro lines (line 1, 2 and 6), which cover the main touristic spots as well as other important districts. Download here the map of the metro network. Tickets can be purchased at tobacco shops and newsagents. Taxi Service in Naples is a public service. The City Government has fixed a blocked rate from Airport Napoli Capodichino to City Center (Euro 25,00 valid for the year 2018) and from Train Station to City Center (Euro 15,00 valid for the year 2018). So be careful about any offer by not public service. Major foreign currencies can be exchanged at banks and airport and include the US Dollar, Japanese Yen, UK Sterling and Canadian Dollar. Most hotels, restaurants, and shops accept major international credit cards including Visa, American Express and Master Card. 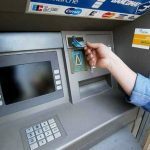 Foreign-issued ATM cards may have limited use. International dialing code in Italy is +39 (Area code). Please omit (0) when dialing from overseas. Tip is not a mandatory practice in Italy, but it is very appreciated in Restaurants and Hotels. Government office hours are usually from 8:00 to 13:00 on weekdays. Banks are open from 8:20 to 13:20 on weekdays. Most stores are open every day from 10:00 to 19:30, including Sundays. In Italy the power sockets are of type F and L. The standard voltage is 230 V and the standard frequency is 50 Hz. Which power plugs and sockets in Italy? In Italy the power sockets are of type F and L. Check out the following pictures. Type F: also known as “Schuko”. This socket also works with plug C and plug E.
Type L: This type is of Italian origin. This socket also works with plug C.
We suggest to have an adapter.